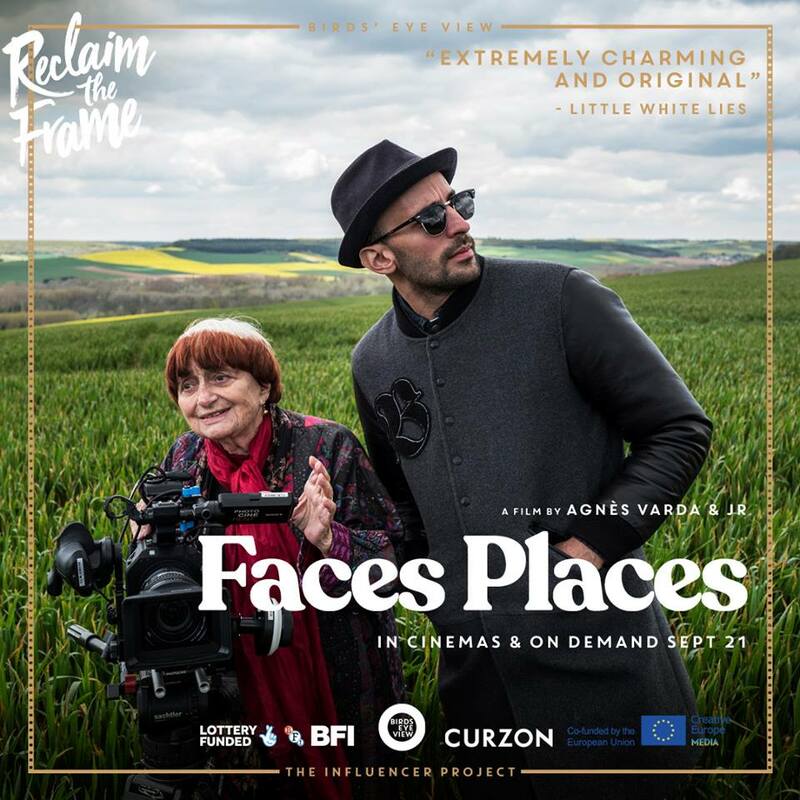 The Birds Eye View ‘Reclaim the Frame’ project is now screening its 3rd film of the series, Agnès Varda and JR’s Oscar nominated Documentary ‘Faces Places’. The film follows 90 year-old Varda, one of the most notable women filmmakers to ever exist, and JR, a 35 year-old photographer and muralist as they scour France taking portrait images of people they encounter and blowing them up to huge proportions on buildings, vehicles- you name it, and the unlikely friendship that Varda and JR develop along the way. Here are the screening dates for the Reclaim the Frame screenings; those highlighted are part of the 4-City influencer projects.